Workplace violence is a serious threat that endangers two million workers every year, and homicide is the fourth leading cause of workplace death. While employers cannot control the random violent acts of employers, they can and should take steps to keep their employees safe. Sadly, many employers do not take this problem seriously enough, and workers are forced to experience the terror, injuries, and death caused by workplace violence. Is Your Employer Following These Safety Practices to Reduce Your Risk of Violence at Your Job? Having a zero tolerance policy toward violence, which includes workers, customers, patients, contractors, and anyone else who has contact with employees. Developing a written violence prevention plan that includes a clear definition of workplace violence and examples of unacceptable behaviors, explains the consequences of engaging in violent actions, and create a procedure for making and investigating complaints of violence. Utilizing security measures, such as limiting the entrances to a workplace, using coded cards or keys to gain access to the building, installing physical barriers that prevent customers and patients from freely entering employee work spaces, and providing sufficient lighting. Keeping cash at the workplace to a minimum, using electronic payments when possible, and installing a safe. 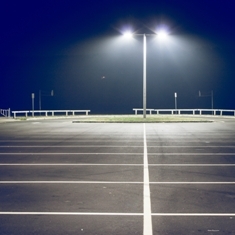 Keeping the parking lot and workplace entrances as well as work areas well-lit, especially at night. Adapting work practices to keep employees who must work off-site safe like being certain an employee in the office knows where these employees are working, having a designated contact person for workers in the field to call, and using a buddy system when necessary. Even if your employer implements these safety measures, you could be the victim of workplace violence. Fortunately, you could be entitled to workers’ compensation benefits to pay your medical bills and lost wages. Call us today at 877-360-0183 to schedule a free, no-obligation consultation with workers' compensation attorney Manfred Ricciardelli. Were You Injured in a NJ Work Accident Due to Violence?